Two grand winners from Group A will take on each other and we might either see Brazil or Mexico confirmed for “round of 16″ knockout tie with a game to spare. The game will be played at Fortalez on Tuesday. 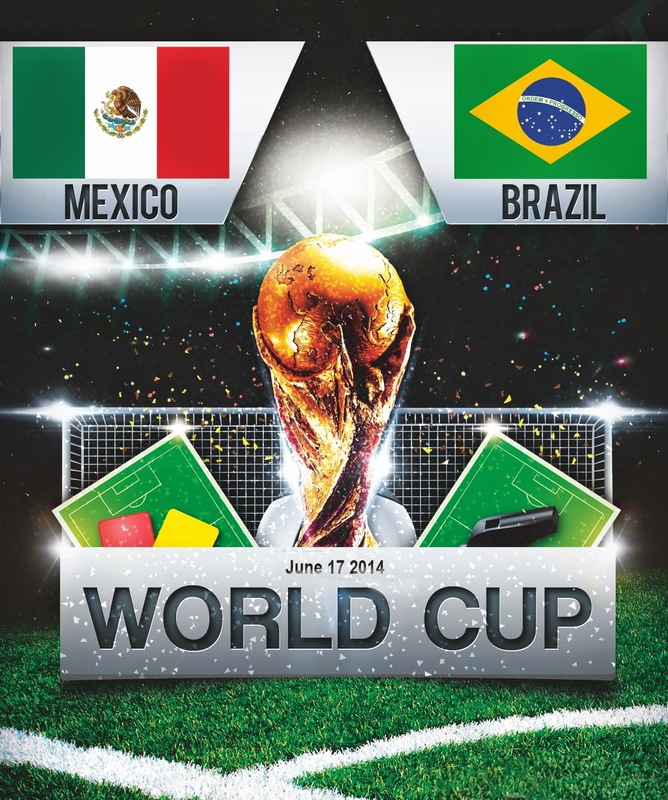 Mexico will be playing their second group game of 2014 world cup when they take on Brazil on 17th June 2014 and they have a massive opportunity of qualifying for the knockout stages with a win in this match, Brazil can also achieve the same if they can managed a win against Mexico. Both teams are coming into this game on the back of great performances in their opening matches. In the first game Brazil started the match on the back foot when Marcelo conceded an own goal and that was more down to nervous than anything, once Brazil scored the equalizer there was only one winner in it. Now Scolari will surely go with the same defence line only change in the starting lineup I can see is Willian replacing Hulk who was poor in the first game, Fred is likely to keep his place with Neymar and Oscar supporting him in attack. 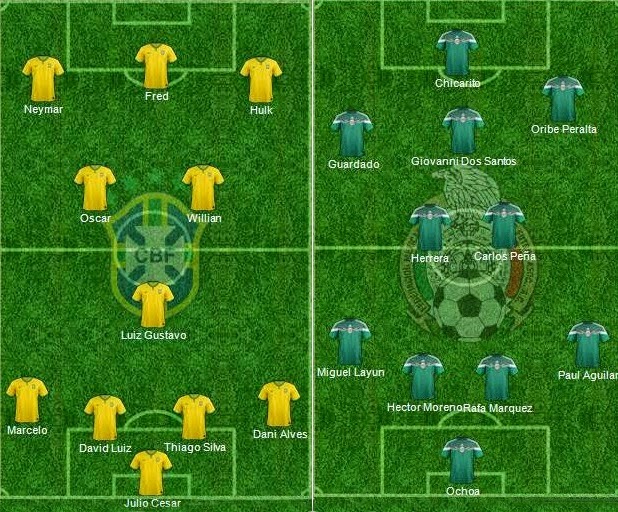 Goal scorer Oribe Peralta will keep his place and Mexico are highly likely to go with the same starting lineup who played superbly against Cameroon, only thing which west missing was more goals because they created many clear cut chances and made Cameroon look a very mediocre team. Hernandez might be used as a sub in second half. The lineup for both team are quite predictable as they will be continuing with the same lineups as it was in the previous matches.